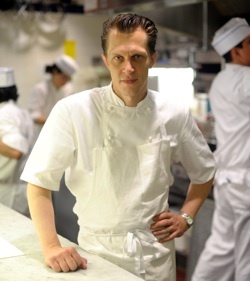 Pastry Chef Michael Laiskonis | Recipes - Find. Eat. Drink. 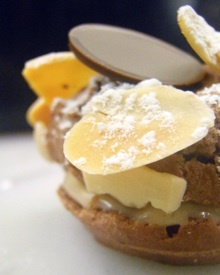 Recipe for Cocoa Paris-Brest from pastry chef Michael Laiskonis of Le Bernadin in New York, NY. The Creative Director at the Institute of Culinary Education and previously the Executive Pastry Chef of Le Bernardin in New York. The award-winning chef is known as one of the foremost pastry chefs in the United States for his outstanding expertise and exquisite desserts. This recipe is a great example of where I am in terms of my personal evolution, in that I’m seeking to rediscover some of the enduring pastry classics, in this case, the choux-based Paris-Brest. By filtering the original through my own filters, I’m hoping to add a personal touch. Here I’ve added cocoa and chocolate into the mix. 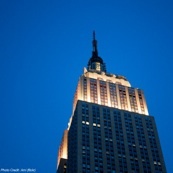 Michael Laiskonis’ recommendations for where to eat, drink and shop in New York, Brooklyn, Queens, Chicago, Michigan, Washington DC, and Tokyo. Copyright ©2011 Find.Eat.Drink. LLC All rights reserved.